The City of Burnside serves a population of 45,690 people in the south-eastern corner of Adelaide. After using TechnologyOne’s enterprise software for several years, the council was struggling to maintain its software following some staff departures, which resulted in a loss of technical expertise. “Where we would normally do things in-house, we were having to rely on consultants to assist us, which took time to organise through the traditional means,” said Matthew Spearman, Group Manager People and Innovation, City of Burnside. The City of Burnside needed reliable support to maintain its service delivery levels and ensure its operations continued to run smoothly. “We needed additional support to act as a safety buffer while we restructured and up-skilled our team,” Spearman said. 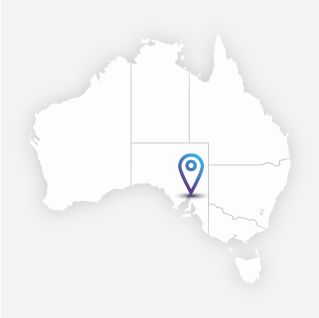 The City of Burnside engaged TechnologyOne’s AMS team to provide ongoing training, system maintenance and optimisation. “AMS is like having an additional resource that’s capable of completing every function within our software portfolio,” Spearman said. The AMS program has enabled the City of Burnside to backfill a gap in technical expertise. “AMS is quite flexible in terms of what you can use it for,” Spearman said. “Anything that our IT team couldn’t resolve, we escalated to AMS. They helped us overcome some major hurdles and I don’t think we would have been able to complete the project without them. “This has brought some much-needed structure to our teams and has improved inter-department communication and collaboration. Spearman added: “Each month, we know we have reliable support to draw on to get things done. Located in the south-eastern corner of Adelaide, the City of Burnside covers 28 suburbs and has a residential population of 45,690 people.